Rainwater, greywater and blackwater are all water sources that we generally don’t think of as resources that are available to us. Why not get as much use from water as possible? The RainCatcher installs grey water and blackwater recycling systems, including the Sludgehammer treatment unit, which treats blackwater that can be reused through a below ground drip irrigation system for your landscape. See our Rainwater Harvesting page for information on collecting and storing rainwater. Reuse of rainwater, greywater and blackwater is legal in New Mexico. In nature, water is used as many times as possible before leaving the landscape as groundwater or evaporation. We can utilize this same conservationist approach to maximize potential water use. Greywater is water that has been used in the house and comes from bathroom sinks, shower, baths and washing machines. Blackwater is the water from the kitchen sink and the toilets. What specific policies or government agencies mandate and regulate water use in the state? Greywater and blackwater regulations are mandated by the New Mexico Environmental Department. Their website has a lot of useful info: www.nmenv.state.nm.us/fod/LiquidWaste/graywater.html. What are some examples for how grey and black water can be reused? Greywater is the simpler of the two to use. Greywater can be used by sending water outside to planter beds that are sunken below the ground, or used in a pumice wick. 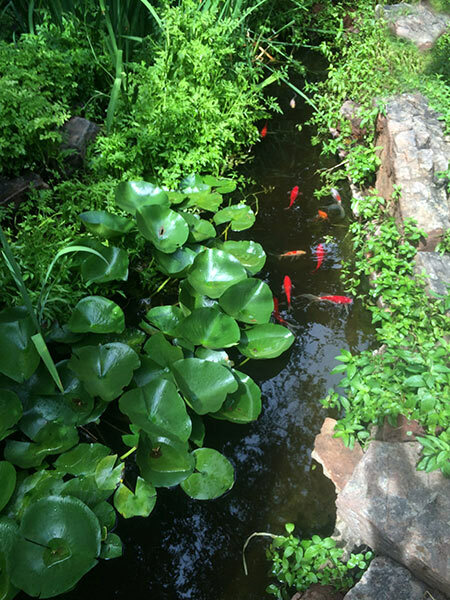 (For some great beginning ideas see Art Ludwig’s Create an Oasis with Greywater). Blackwater must be treated by a treatment system and is a little more complicated way to use water. An example that we like to use is the Sludgehammer treatment unit which is installed directly into an existing septic tank, and creates an aerobic environment that houses specific bacteria that break down the organic matter, and utilize the excess nitrogen. Water treated by a Sludgehammer is treated to secondary quality, and can be reused in the landscape through a below ground drip irrigation system. Does waste water need to be treated before I use it for different purposes in my home? Greywater needs to be filtered before it enters the landscape to remove particles of hair and other debris. Otherwise it is not available for reuse in the home (i.e. flushing toilets) unless much more filtration has taken place. How does The RainCatcher work with water recycling systems? The Raincatcher installs greywater and blackwater systems, from the simplest to the most complex. Branched drain greywater systems and pumice wick greywater systems are easy low-maintenance systems that we typically install. RainCatcher is licensed and certified for installation of the Sludgehammer blackwater treatment system. Is recycling water an environmental imperative or is it still just an option? Recycling water is very much imperative to our continual survival on this planet. Clean water is becoming more scarce every day and by working with nature to biologically clean, reuse, and restore water in all of its forms is becoming a matter of survival and not a luxury we can postpone any more.